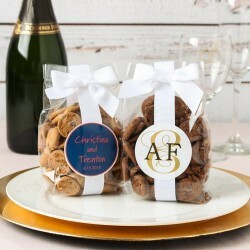 I’m always on the look out for a fun and edible wedding favor and while cookies and cupcakes are great, I recently saw a biscotti that look like fun. 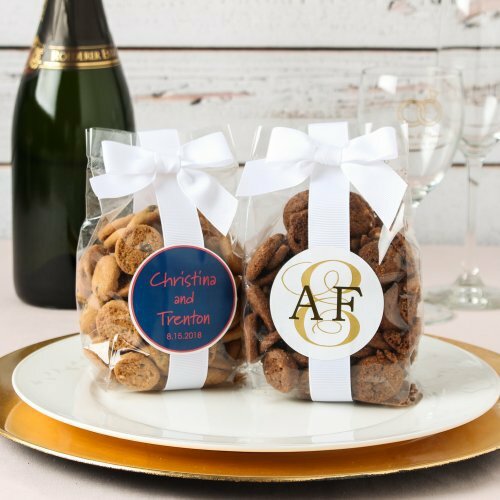 Now, not everyone is a fan of biscotti – they are really hard and go best with a hot cuppa tea or coffee (preferably a flavored cappuccino). Personally, I think these personalized biscotti favors are just about perfect. 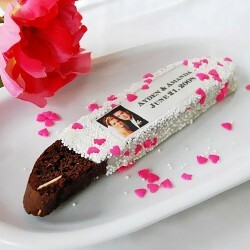 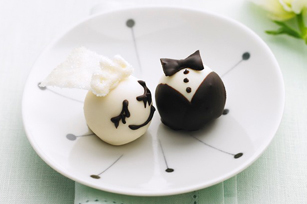 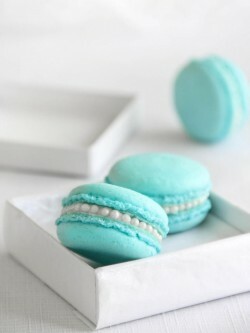 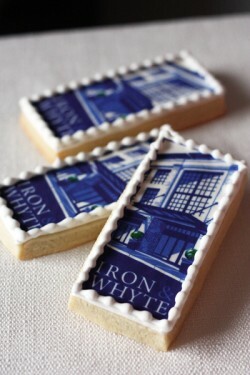 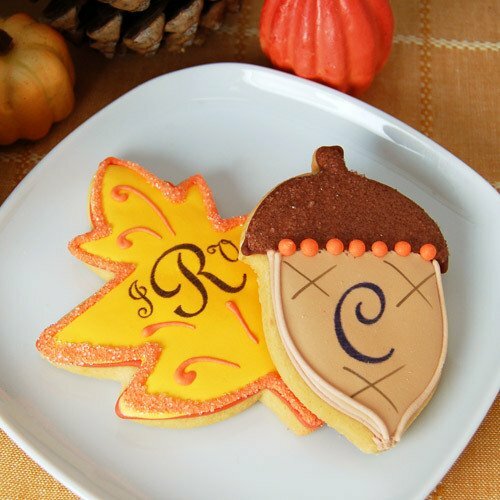 It’s been well established by now that I’m a huge fan of edible wedding favors. So imagine my excitement when I saw this personalized cookies jar! 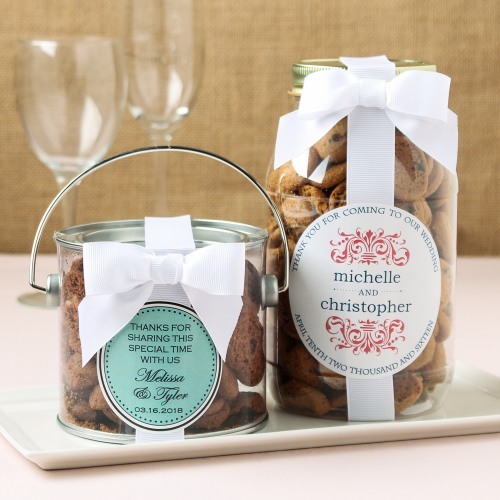 These cookie jars are quite possibly the best wedding favor ever, especially since they come in various sizes from a 5 ounce paint can all the way up to a 40 gallon container. 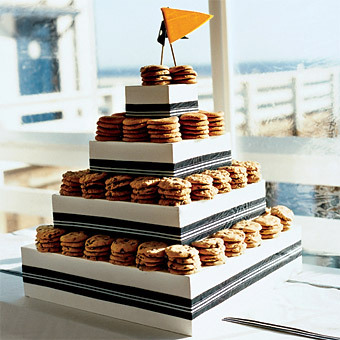 I’m always on the lookout for a unique and ‘why-didn’t-I-think-of-that’ wedding cake idea. And today I think I’ve found it! 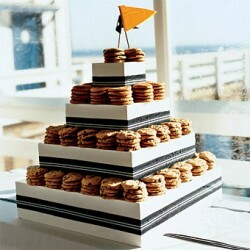 It’s a chocolate chip wedding cake. 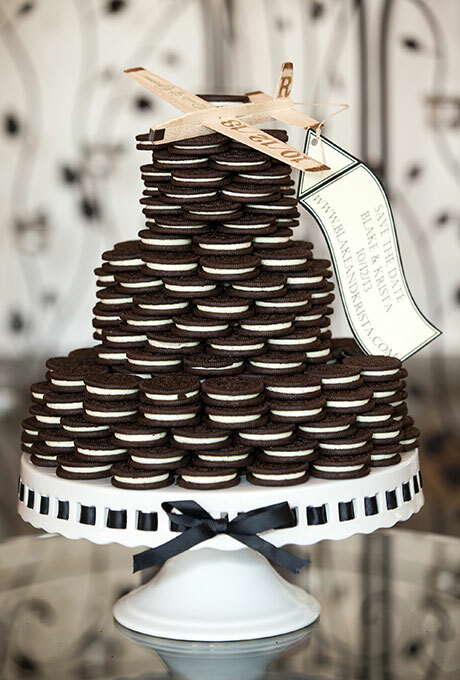 Not a cake made to taste like a chocolate chip cookie, but a tower full of chocolate chip cookies made to look like a wedding cake.